Civil Unrest is rising around the world. In the USA, demonstrations have been organized to support Donald Trump in a counter-demonstration move against the Obama/Soros uprising. 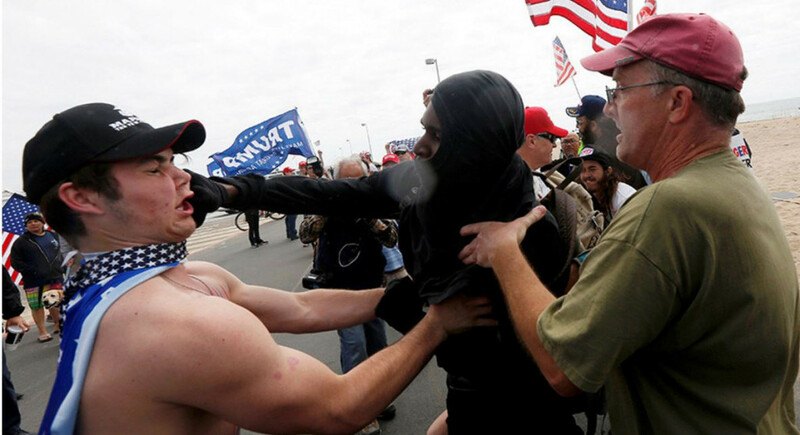 In Los Angeles, Trump supporters were confronted by opponents of Trump and the two groups ended in violence. The Obama/Soros supporters were partially traditionally masked. The Trump supporters were trying to organize marches in about 40 US cities for Sunday. However, many cities were denying the Trump supporters the right to even assemble. In Philadelphia, the police stopped such an event they alleged for safety, as the news page Philly.com reported. The protest was against corruption, and they accused Minister President Dmitry Medvedev of corruption, demanding his resignation. A few days ago, six officials had been arrested for embezzlement of public funds, which were actually intended for construction work on the estate of President Vladimir Putin. As the Russian investigative committee reported on Wednesday, at least 225 million rubles (around 3.6 million euros) were devoted to the construction of “public buildings”. According to Russian media reports, money was spent on building several buildings on Putin’s property in Novo-Ogarevo near Moscow. Kaminow and its partners were supposed to build a reception building, a hotel, and a garage there between 2012 and 2015, as the newspaper Kommersant reported. The contract amounted to a total of 5.7 billion rubles, of which 45 per cent went to Ateks without the works being completed. Navalny had been arrested in Moscow by security forces and taken to a police station. Hundreds of demonstrators gathered around the bus to stop them from leaving. Navalny is mainly known for his blogs in Russia. A court sentenced him to a suspended sentence of five years in February for embezzlement. Navalny, on the other hand, wants to appeal. He plans to compete in the 2018 presidential election against Vladimir Putin. According to surveys, however, the liberal opposition has few chances. However, the anti-corruption protests are hoping for more popularity among the population. “I am very glad that so many people from the east of the country go to Moscow,” said Navalny shortly before his arrest. He called for the protests after he had made allegations against Medvedev, after which he had accumulated a wealth far above his income. A spokesman for the Prime Minister called the allegations “propagandistic attacks”. At a demonstration in Vladivostok on the Japanese Sea Reuters, reporters counted at least 30 attacks. People unrolled a banner with the words “The Minister President must answer”. A 17-year-old student said that in many other countries, governments would have to step down after such accusations. According to eyewitnesses, there have also been arrests in Yekaterinburg in the Ural industrial region. 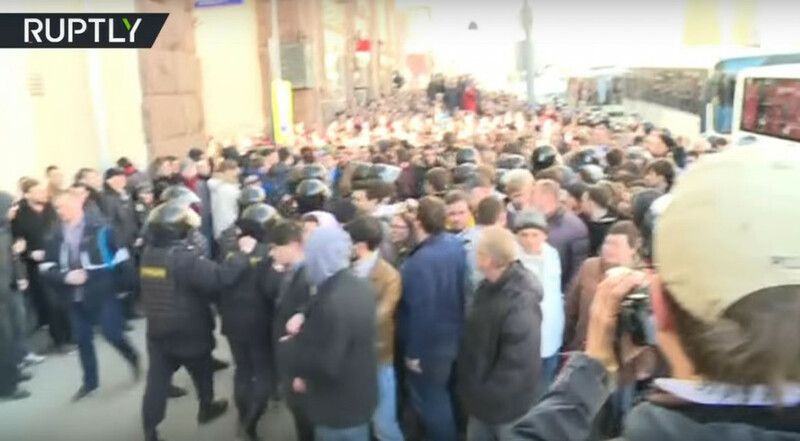 Media also reported arrests in other cities, including St. Petersburg and Novosibirsk.